Whenever your eyes get irritated, itchy, or just plain tired, lubricating eye drops can revive them, bringing back clear vision and comfort. 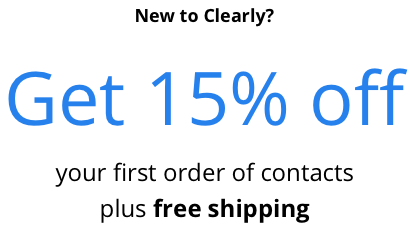 Clearly's eye drops for contact lenses are clinically proven to relieve the symptoms of dry eyes and refresh your eyes. 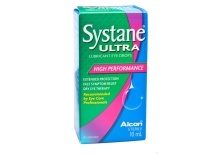 We carry OPTI-FREE® and SYSTANE® eye drops, among other brands. All our moisturizing eye drops use advanced technology to provide the most refreshing, protective, and comfortable drops for your eyes. For optimal eye health, we recommend using contact lens eye drops several times a day to prevent dry, tired eyes. To make it easier to remember, you might consider having a bottle in the places you use them most often (work, home, car, gym) so comfortable, soothed eyes are always within your reach. 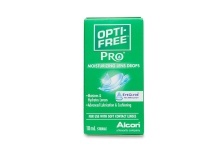 After shopping our eye drops, check out our contact lens solutions and cases to keep your eyes healthy and happy.